Alec Bradley cigars incorporate fine tobaccos from across the globe to provide smokers with a rich and unique smoking experience with a great variety of tasting profiles. 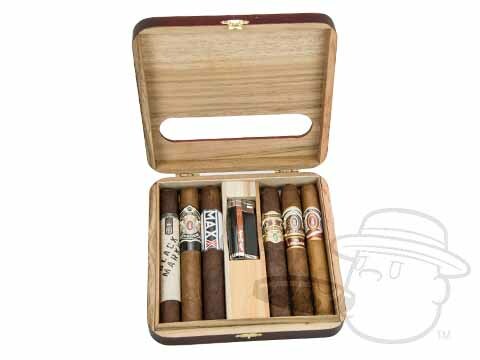 The Taste of the World Sampler lets you sample some of the brand's most highly rated offerings and comes complete with a collectible Alec Bradley torch lighter. Alec Bradley Taste Of The World Sampler is rated 4.7 out of 5 based on 2 customer ratings.